As one of the largest multi-artform venues in the UK, they deliver a high quality, engaging, diverse programme of cinema, performing and visual arts, presented in world-class venues and spaces at the heart of the University of Warwick campus. In October 2017, Warwick Arts Centre began a three year project to refresh, renew and redevelop the existing building to create a modern, updated, larger space where they can continue their distinctive, creative, artistic and cultural programme. The build is scheduled to take three years to complete, however, the theatre will be open throughout. Coventry train station is just a short taxi or bus ride away. Services run regularly via Birmingham and London to Coventry. 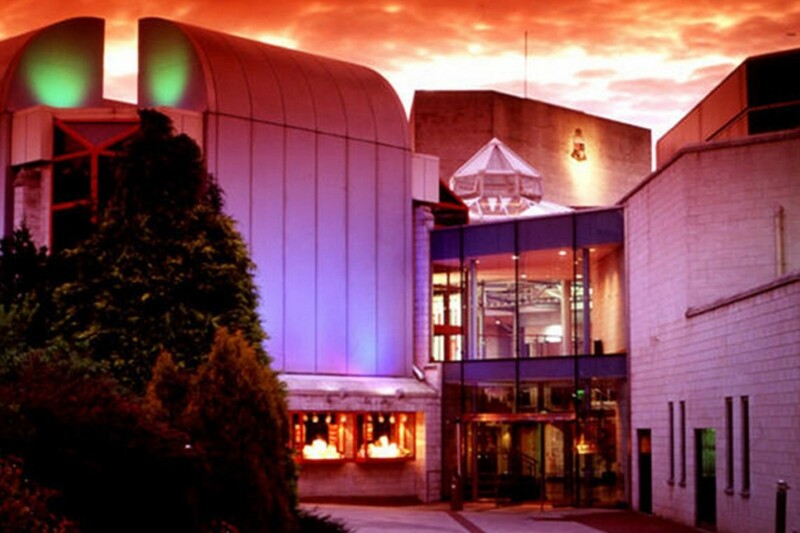 The numbers 11, 11U and 12X (express service) buses bring you to Warwick Arts Centre from the station. The taxi rank is at the side of the Arts Centre next to the bus interchange. Approaching Coventry, simply follow brown signs for Warwick Arts Centre. Once on the University of Warwick campus, the nearest car parks are 7 and 8. On arrival, please follow signs to the new main entrance, next to the Bookshop, or use The Goose Nest entrance, opposite Health Centre Road. Parking is £4 all day and FREE after 6pm on Mon – Fri, at weekends and on bank holidays. Car parks 7 and 8 are pay and display during the day. Please allow time for your journey as latecomers may not be admitted until a suitable break in the performance. Car park 7 (on central campus) is the nearest car park to Warwick Arts Centre and is multi-storey. Please be prepared that at the end of a busy night it can take some time to exit from the upper floors. adjacent to the Sports Centre. Disabled parking is available in Car park 7, Health Centre Road and designated areas, please contact Box Office on 024 7652 4524 with any queries or to find out more about blue badge parking. The Café Bar is located on the ground floor opposite Box Office. It is open 9.30am – 9pm Monday – Saturday and 1pm – 8pm Sunday (subject to the change). Renowned for its selection of tempting cakes and pastries, it also serves sandwiches, sushi and hot food, including jacket potatoes, soup and curry style dishes. Highchairs are available for young children. Dining options before or after a show include Fusion, serving Asian cuisine in a lively restaurant with super speedy service and Xananas, a premier bistro-style restaurant serving an imaginative menu of freshly prepared meals, light bites and a tempting array of delicious desserts. The Café Bar offers a selection of cold beverages, premium teas and hand crafted, barista coffee, and interval drinks can be pre-ordered. Although it is not essential, you are advised to book in advance so that they can readily provide assistance. If you require assistance, disabled patrons may also bring a companion FREE of charge. For full and updated access information please see the website or ask at Box Office. There is wheelchair access at ground level to the Butterworth Hall, The Goose Nest, Café Bar, Box Office, Cinema, Helen Martin Studio and Bookshop. Lift access is available to the National Grid Room and Mead Gallery. Assistance dogs are welcomed and can be cared for during performances by prior arrangement. Receivers for our Sennheiser infra-red facility are freely available from Box Office. Toilet facilities accessible on the ground level.